With the same compact dimensions as their innovative folding .22LR, the new .22 Magnum version of the LifeCard has a little more punch. Besides the increase in caliber, the new .22 Mag version has had its internal storage compartment in the grip stretched slightly to accommodate three spare cartridges while a lanyard hole has been added to the frame to allow the 7-ounce Slickgun to use a paracord attachment. Using a frame and handle machined from aluminum, the barrel and trigger are produced from 4140 pre-hardened steel. The Slickgun is ambidextrous by design and has built-in safety features. To meet ATF guidelines on AOWs, the LifeCard cannot fire when in its closed position. MSRP is $399, the same price as their standard LifeCard of which the company has sold more than 6,000. 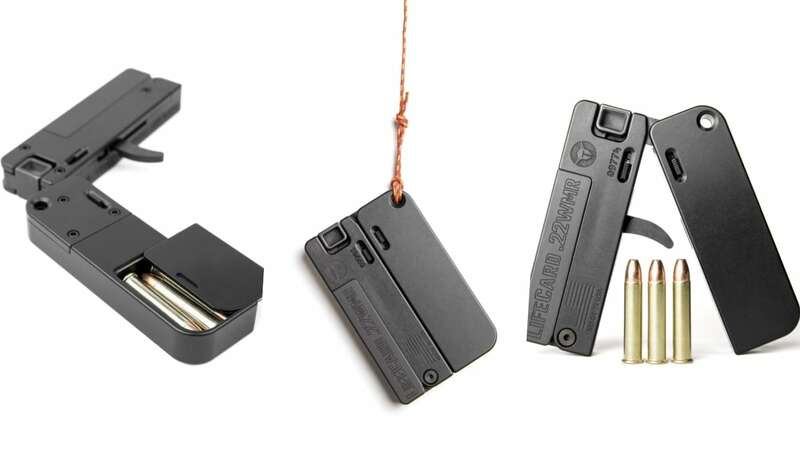 The post Trailblazer delivers new .22 Mag LifeCard variant (PHOTOS) appeared first on Guns.com.